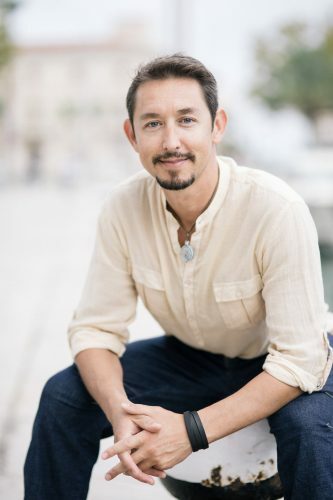 A Yoga practitioner since 2002, Southern California native and certified yoga instructor Joshua Marin-Hepfl began teaching his contemporary yoga practice in 2008, through various studios and dance education institutions in the Los Angeles and Orange County area. Since then, Joshua has been offering his practice internationally at yoga, dance, fitness, and well-being centers, including the Amsterdamse Hoogeschool vor de Kunsten (Amsterdam School of the Arts), offering both his vigorous Promayoga™ practice as well as his AcroFlow® classes to future professional dancers of the Jazz and Musical Theater department. 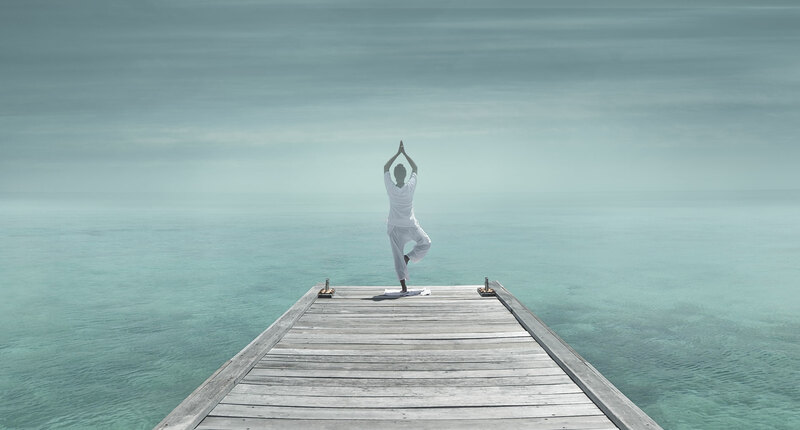 As of Summer 2014, Joshua has been pleased to offer his practice to the yoga community in Palma de Mallorca, with weekly Proma™ (progressive mastery) yoga classes being offered at the beautiful Zunray yoga studio. Joshua continues to encourage his students on their path toward a life of health and wholeness, expanding their awareness, and providing them with an experience which facilitates their development towards the realization of their unique potential. 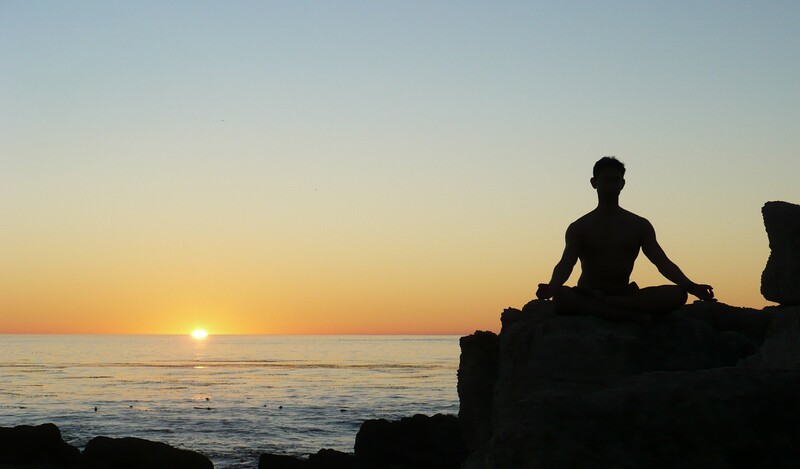 Joshua’s Promayoga™ practice is a progressive approach towards developing self mastery. It is a fluid, alignment based contemporary yoga practice designed to develop strength and structural integrity of the entire body, while allowing for increased flexibility and the development of stamina. 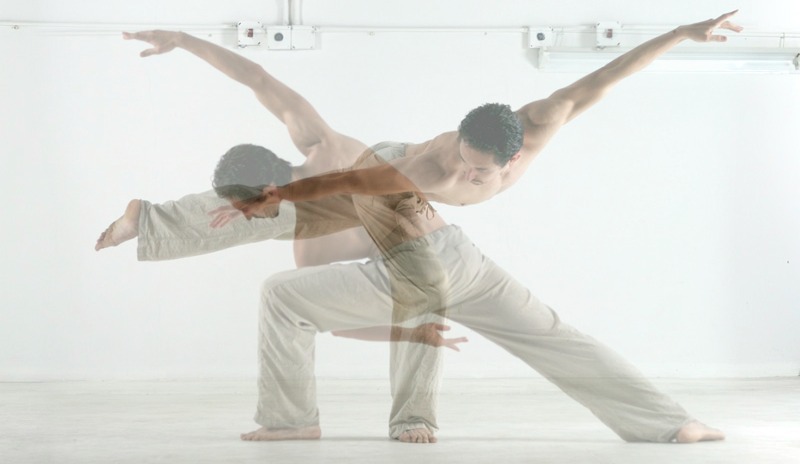 Joshua emphasizes the teaching of sound alignment principles derived from his training in a variety of contemporary and classical dance techniques, as well as from his in-depth studies of anatomy and kinesiology. The class structure allows the body to generate a significant amount of heat in order to safely progress into postures that deeply lengthen and strengthen the body’s musculature. A progressive approach towards developing self mastery, Promayoga™ is an ideal conditioning practice for dancers, martial artists, and athletes of all disciplines. As a professional dancer and former competitive skateboarder, Joshua has developed the Proma™ practice to facilitate a professional performer's conditioning needs, in a competitive and physically demanding environment. The core of the Proma™ methodology is to facilitate the practitioner's interest in developing body mastery. This mastery of one's facility, allows the practitioner to better adapt to a multitude of physically demanding activities, including various dance styles and forms. If a one-on-one training session is a more comfortable or convenient option for you, personal training sessions can be scheduled to be held at your home or a location of your preference, at a time that fits your busy schedule. 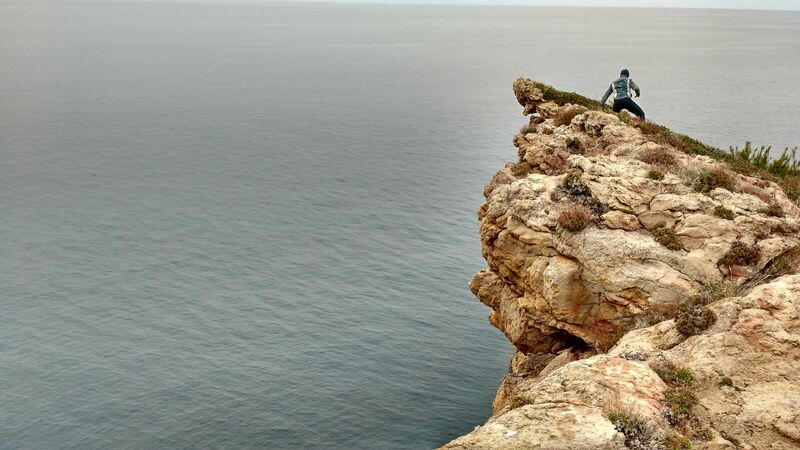 Palma de Mallorca offers beautiful weather throughout the year, making your private session on the beach, in a park, or elsewhere in nature, an attractive option during your visit to the island. Small group training programs are also available for you and your friends, co-workers, or employees. 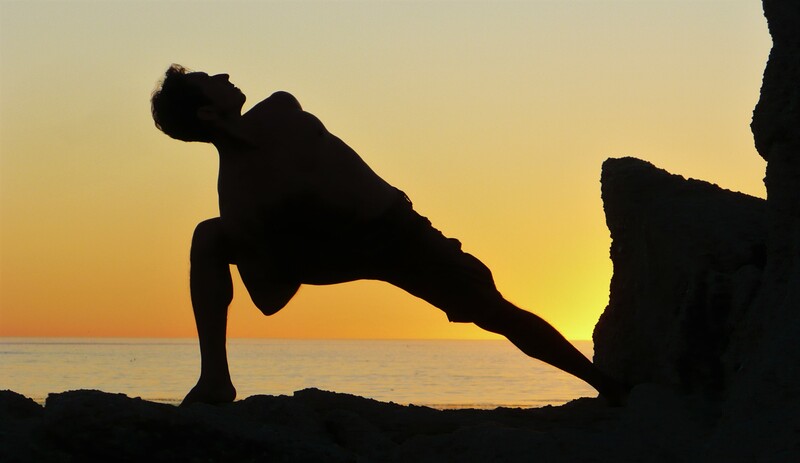 Joshua is pleased to offer his practice to the yoga community in Palma de Mallorca. Joshua continues to guide his students on their path towards a life of health and wholeness, encouraging the development of a heightened sense of awareness, through an experience which facilitates growth towards the realization of their unique potential. 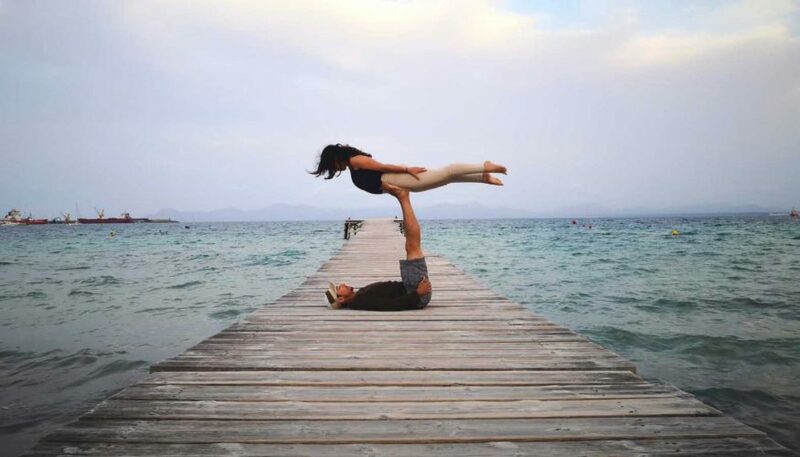 Acroflow® partnered acrobatic (acroyoga) classes with Joshua Marin-Hepfl continue in 2019! The mixed level 90 minute classes are held on Saturdays from 11:30-13:00 and Tuesdays from 17:45-19:15 in Parc sa Riera (near the fountains in the middle of the park). Pricing: 12€ per single class. 50€ for 5 classes. 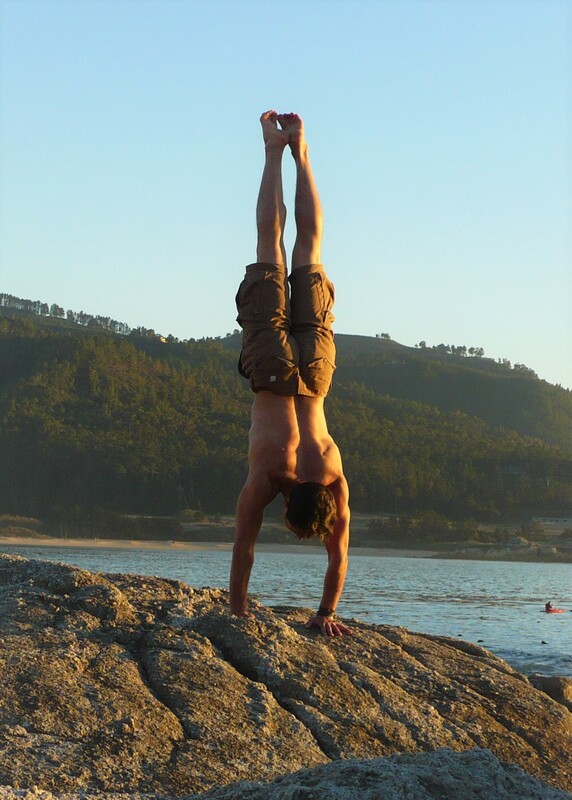 Internationally renowned instructor and performing artist Joshua Marin-Hepfl has been offering his Acroflow® partnered acrobatic practice on the beautiful island of Mallorca since 2014. Prior to that, along with offering his practices through studios and institutions throughout Amsterdam, Joshua was on staff at the Amsterdam School of the Arts (AHK), offering both his Acroflow® method as well as his Proma (progressive mastery) Yoga practice to students who have since gone on to work with professional dance and performance groups around the world. The open level AcroFlow® classes are ideal for practitioners of all levels of experience who are interested in developing their understanding of, and technique in this physically challenging yet playful partnered acrobatic movement vocabulary. Combining elements of acrobatics, yoga, post-modern/contemporary dance, and contact improvisation, we will playfully explore new movement pathways, while developing strength, coordination, endurance, flexibility, and awareness throughout the entire body. The classes will include theory of alignment and weight transfer with your partners, warm-up and conditioning to develop your physical capacity to safely practice with confidence, specific techniques and intelligent corporal pathways of descent for safe transitions out of flows (falling), and of course, lots of fun acro' practice. Movement improvisation for heightened awareness. •	A recognition of what more is possible with your body. •	Development of proprioceptive awareness through guided improvisation exercises. •	An increased range of motion through joint articulations. •	Development of stamina, through continual movement exercises. •	A greater awareness of where you hold and how you move your center of gravity over chosen bases of support. •	Comfort in exploring the use of “less practiced” parts of the body as bases of support. •	Introduction to, and development of, kinesthetic awareness (orientation of the body in space). •	Greater control of your body, and capacity to move it through space. •	Introduction to and practice in the sharing (giving and receiving) of weight with another body, through contact improvisation exercises. •	Development of trust with others, and a greater understanding of the requisites for its continual development. •	A deeper understanding of your emotional state through observation of and reflection on your movement, experienced through a series of “stream of consciousness” exercises. •	Recognition of habitual movement patterns in your body. •	An opportunity to experience how your “body’s language” can reveal or reflect aspects of your psychology (past experiences, fears, desires, etc.) held in the subconscious, and the “container” that is your body.